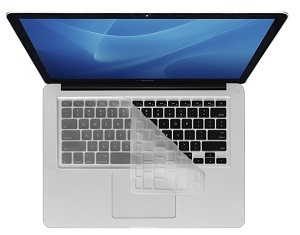 Give your Mac Laptop Keyboard Keys protection from stains, dirt, dust and more with a Transparent Keyboard Cover. Utilizing a multi-color printing process, the keys are color-coded and heat fused to ensure long lasting durability. No chips or cracks.